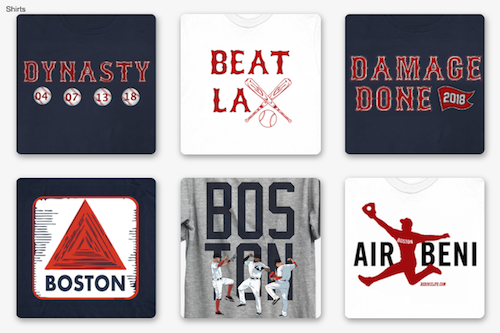 What a night for Boston sports. First Tom Brady hits Kenbrall Thompkins for the game winning TD, then walkoff city came to Fenway Park vs the Detroit Tigers. We know what happened - Red Sox bats looked dead until they scored in the 6th, then David Ortiz hits a game-tying grand slam (who else) in the 8th and Jarrod Saltalamacchia hit a walk off single in the 9th. 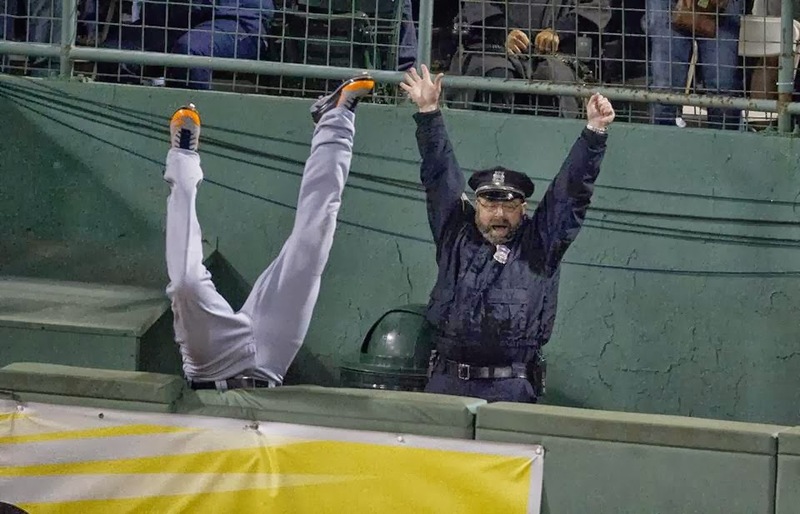 The iconic image from the whole thing came on Big Papi's grand slam, when the bullpen cop celebrated after the ball cleared the fence (pictured left). You could say what you want about him not helping Torii Hunter, but when your team has been frustrated at the plate for the vast majority of the first 2 games and they finally do something good, it's a glorious feeling. 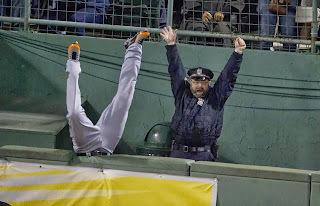 I give a lot of kudos to the players for going over to check on Hunter after the grand slam and I actually do think the cop could have been quicker to react. Like I said, though, from a fan's perspective, that grand slam was complete elation almost like we had already won the series. Last night was the ultimate Boston Strong moment for both the New England Patriots and the Boston Red Sox, and that photo will go down as one of the iconic photos of the Boston Strong concept. 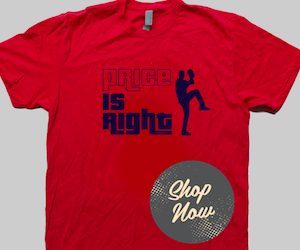 And last night/day will go down as one of the great moments of the respective teams seasons. Boston Strong! Thoughts? Let me know on Twitter (@ConorJF1016) or leave a comment.